Bragi is the skaldic god of poetry in Norse mythology. In Norse mythology, Dökkálfar (Old Norse: Døkkálfar "Dark Elves"; singular Døkkálfr) and Ljósálfar (Old Norse for "Light Elves", singular Ljósálfr) are two contrasting types of elves; the former dwell within the earth and are most swarthy, while the latter live in Álfheimr, and are "fairer than the sun to look at". Álfheimr, or Elf-Land, was known as the place of residence for the elves, specifically the light elves. The Dökkálfar and the Ljósálfar are attested in the Prose Edda, written in the 13th century by Snorri Sturluson and in the late Old Norse poem Hrafnagaldr Óðins. Sturluson, born in 1179, was a prominent Icelandic chieftain and poet. Sturluson is known for being a wealthy figure of authority. Snorri was a human paradox. In his work "Snorra Saga Sturlusonar: A Short Biography of Snorri Sturluson," Kevin Wanner explains, "For his own contemporaries Snorri no doubt was the powerful chieftain known for his munificence as well as his avarice…a ruthless intriguer whom it was dangerous to have as one’s adversary." Scholars have produced theories about the origin and implications of the dualistic concept. In Norse mythology, a fylgja (plural fylgjur) is a spirit who accompanies a person in connection to their fate or fortune. The word fylgja means "to accompany" similar to that of the Irish Fetch. It can also mean "afterbirth of a child" meaning that the afterbirth and the fylgja are connected. In some instances, the fylgja can take on the form of the animal that shows itself when a baby is born or as the creature that eats the afterbirth. In some literature and sagas, the fylgjur can take the form of mice, dogs, foxes, cats, birds of prey, or carrion eaters because these were animals that would typically eat such afterbirths.Other ideas of fylgjur are that the animals reflect the character of the person they represent, akin to a totem animal. Men who were viewed as a leader would often have fylgja to show their true character. This means that if they had a "tame nature", their fylgja would typically be an ox, goat, or boar. If they had an "untame nature" they would have fylgjur such as a fox, wolf, deer, bear, eagle, falcon, leopard, lion, or a serpent. Turville-Petre cites multiple instances where an evil wizard or sorcerer's fylgja is a fox, because the mage is sly and hiding something, or an enemy's fylgja is a wolf. In The Story of Howard the Halt [Hárvarðar saga Ísfirðings], the character Atli has a dream about eighteen wolves running towards him with a vixen as their leader. As it turns out, the dream presages that Atli will be attacked by an army with a sorcerer at the front.Fylgjur may also "mark transformations between human and animal" or shape shifting. In Egil's Saga, there are references to both Egil and Skallagrim transforming into wolves or bears, and there are examples of shape shifting in the Saga of King Hrolf Kraki, where Bodvar Bjarki turns into a bear during a battle as a last stand. These transformations are possibly implied in the saga descriptions of berserkers who transform into animals or display bestial abilities. In Norse mythology, Fólkvangr (Old Norse "field of the host" or "people-field" or "army-field") is a meadow or field ruled over by the goddess Freyja where half of those that die in combat go upon death, while the other half go to the god Odin in Valhalla. Fólkvangr is attested in the Poetic Edda, compiled in the 13th century from earlier traditional sources, and the Prose Edda, written in the 13th century by Snorri Sturluson. 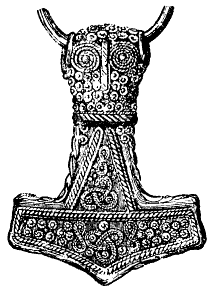 According to the Prose Edda, within Fólkvangr is Freyja's hall Sessrúmnir. Scholarly theories have been proposed about the implications of the location. The Allgermanische Heidnische Front (AHF) was an international neo-Nazi organisation, active during the late 1990s and early 2000s, that espoused a form of neo-völkisch Germanic Neopaganism. It was associated with musician and convicted murderer Varg Vikernes. In Norse mythology, Hliðskjálf [ˈhlið skjɑːlv, -scɑːlv] is the high seat of the god Odin allowing him to see into all realms. Ismantorp Fortress (Swedish: Ismantorps fornborg) is a ringfort located on Öland Island in Sweden constructed during the Migration Period. Jón Hnefill Aðalsteinsson (29 March 1927 – 2 March 2010) was an Icelandic scholar and folklorist. He was a prolific author and is well known for his works on Old Norse religion. In his 2000 book on Hrafnkels saga, he emphasised its heathen religious elements. While acknowledging that a large part of the story line probably represents 13th-century fiction, Jón Hnefill found evidence of an oral tradition in such aspects of the story as Hrafnkel's sacrifices and the behaviour of Freyfaxi. Lotte Motz, born Lotte Edlis, (August 16, 1922 – December 24, 1997) was an Austrian-American scholar, obtaining a Ph.D. in German and philology, who published four books and many scholarly papers, primarily in the fields of Germanic mythology and folklore. 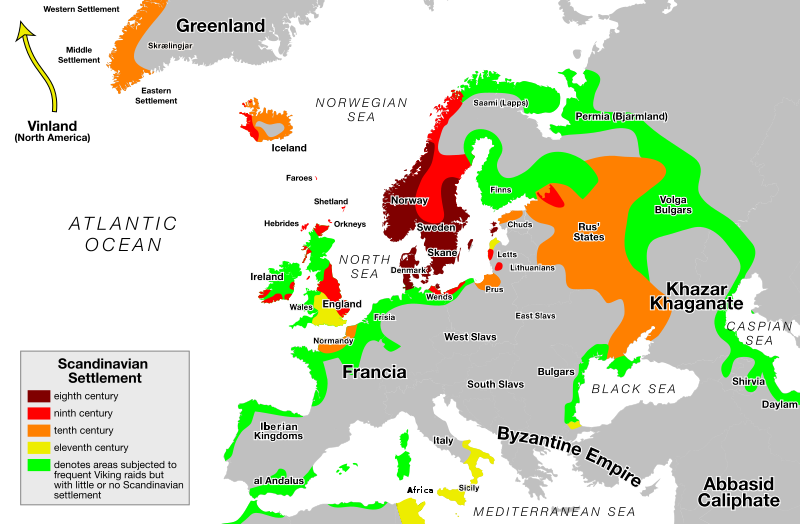 The major aspects of Medieval Scandinavian architecture are boathouses, religious buildings (before and after Christians arrived in the area), and general buildings (both in cities and outside of them). In Norse mythology, a valkyrie (; from Old Norse valkyrja "chooser of the slain") is one of a host of female figures who choose those who may die in battle and those who may live. Selecting among half of those who die in battle (the other half go to the goddess Freyja's afterlife field Fólkvangr), the valkyries bring their chosen to the afterlife hall of the slain, Valhalla, ruled over by the god Odin. There, the deceased warriors become einherjar (Old Norse "single (or once) fighters"). When the einherjar are not preparing for the events of Ragnarök, the valkyries bear them mead. Valkyries also appear as lovers of heroes and other mortals, where they are sometimes described as the daughters of royalty, sometimes accompanied by ravens and sometimes connected to swans or horses. Þrymskviða (Þrym's Poem; the name can be anglicised as Thrymskviða, Thrymskvitha, Thrymskvidha or Thrymskvida) is one of the best known poems from the Poetic Edda. The Norse myth had enduring popularity in Scandinavia and continued to be told and sung in several forms until the 19th century.